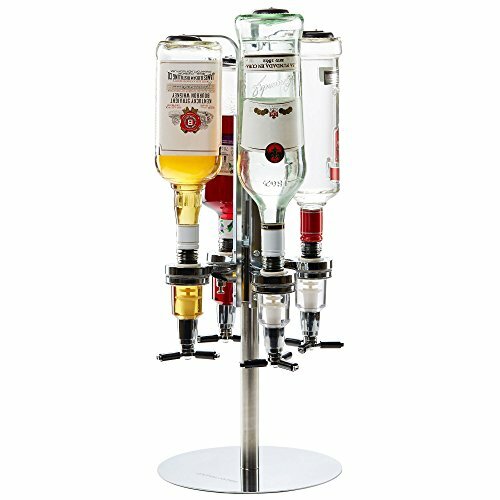 This free standing Rotating Spirit Dispenser has room for 4 bottles, each fitted with a leak proof spring loaded optic which dispenses 50ml shots into your glass. 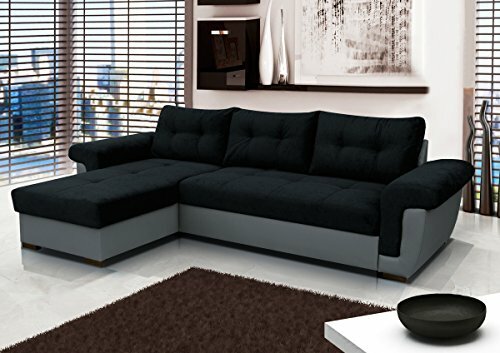 The perfect party piece! 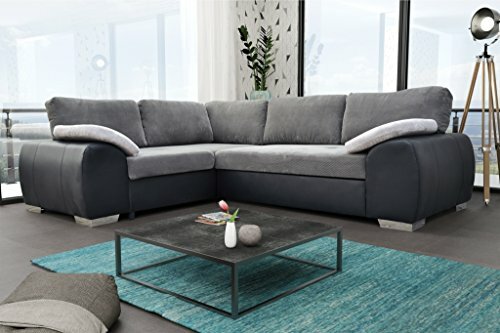 When you’re hosting a party – you want to enjoy it! 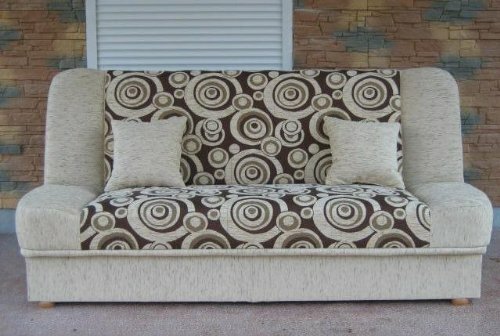 Get-togethers shouldn’t be a chore, they should be indulgent, enjoyable, and (most importantly) stress-free! 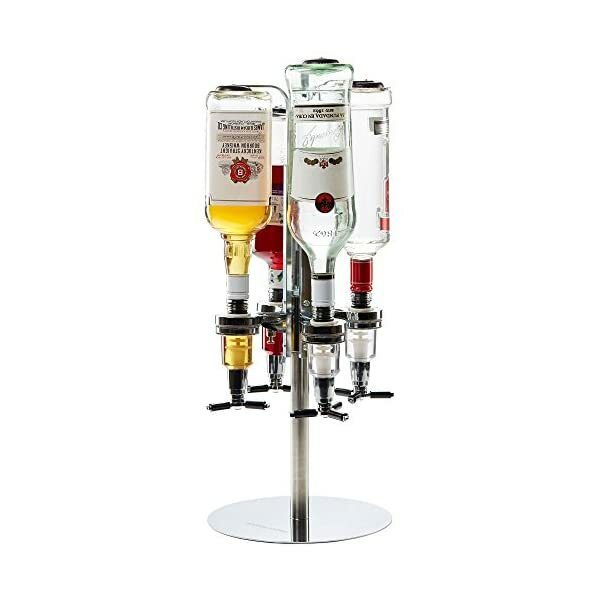 From our range of barware, comes this Rotating Spirit Dispenser: your party’s new best friend. 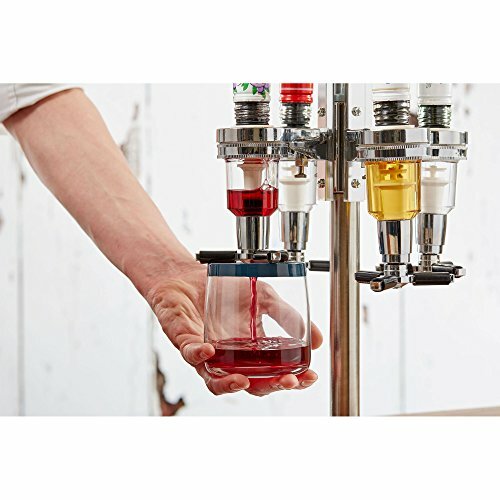 With the specially designed 50ml leak proof optics, you can be confident that you won’t lose a single drop while entertaining your guests. 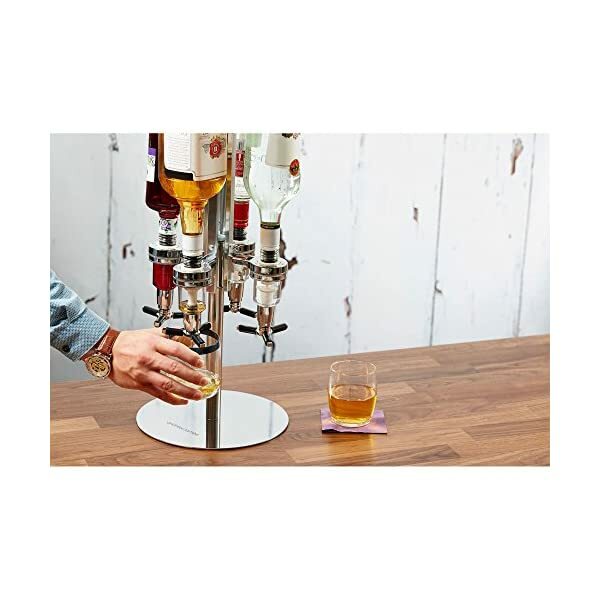 Of course, the optics are a fabulous way of ensuring everyone enjoys themselves and not drinking their way through your drinks cabinet! Should you find that a generous 50ml is slightly too much, you can replace them with your own optics, allowing you complete control. 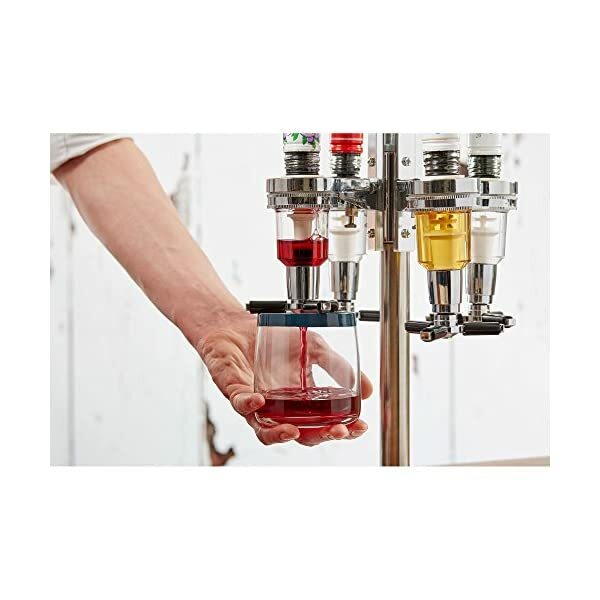 You won’t be bothered by someone asking whether you have a certain spirit, as you can assemble your favourite four bottles on the dispenser, as it’s sleek and stylish design allows everyone to clearly see which drinks you have available. 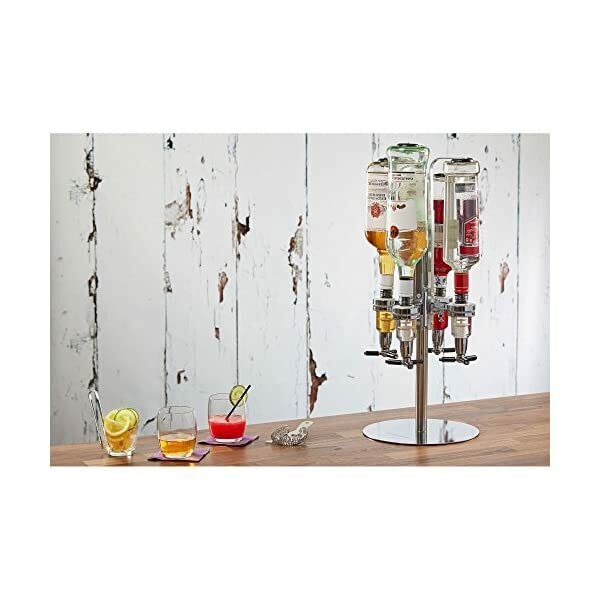 The drinks dispenser is adjustable, holding bottles of different shapes and sizes (up to 35cm in height) and weighing 1.5L, so you can finally show off that unusual shaped bottle you received from a jet-setter! 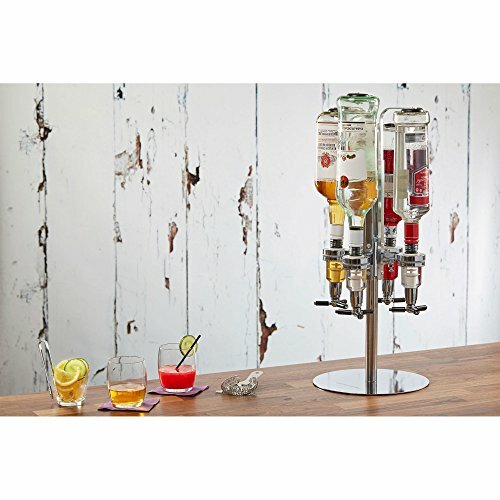 Our Rotating Drinks Dispenser is just one product in the extensive Andrew James barware section. 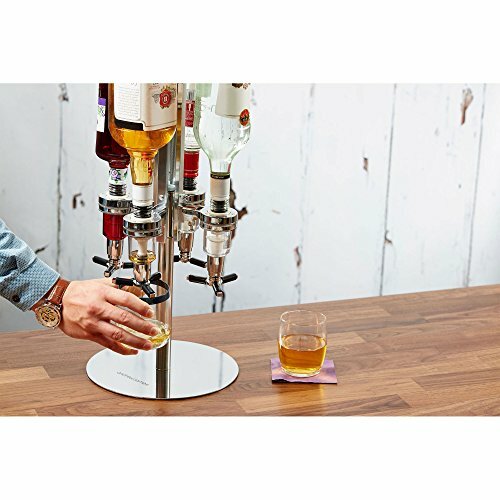 From ice cube makers to cocktail shakers, we have everything you’ll need for your home bar or party. 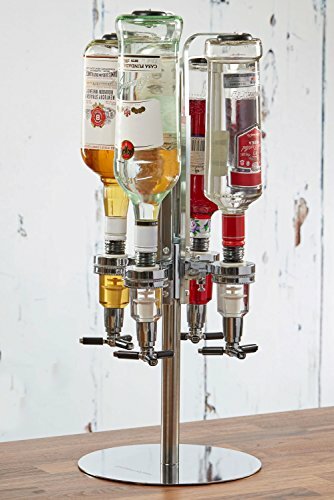 Looks great in any kitchen or bar.